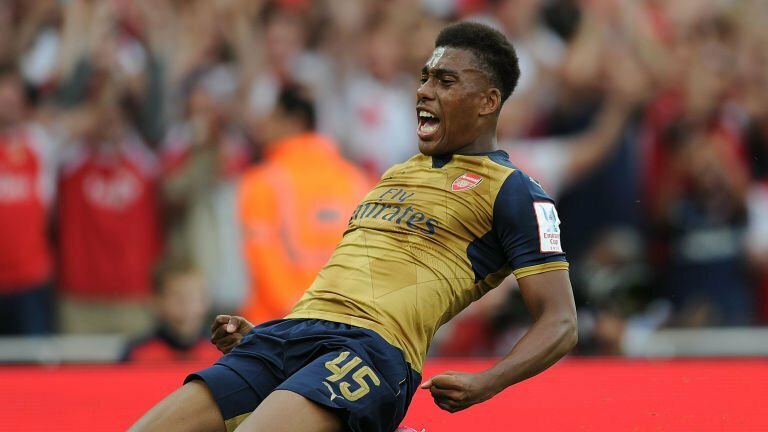 Alex Iwobi is not fazed about Wenger's goal target for him and says he will try his best. Arsenal Alex has revealed that he will try to meet Arsene Wenger’s goal target for him this season. 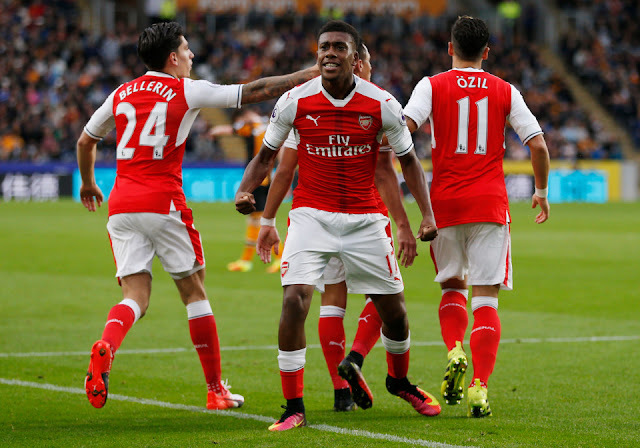 Arsenal manager Wenger has been very vocal of his expectation for Iwobi to shoot and score more goals. After Iwobi’s goal against Brighton a fortnight ago, Wenger stated that he wants 10 goals and eight assists from the Nigeria international. The 21-year-old, however, is not scared of the manager’s expectation. “I will try my best and see and give a 100%” Iwobi told. In front of goal, Iwobi has not been prolific, managing just three in the Premier League and one in the Champions League. “On the pitch, I don’t really think about it, I just think about helping my teammates,” Iwobi added. When the chance comes, I try my best whether I get a goal or not, I just get to wait and see. “To get goals is what people like Messi and Ronaldo do, they get talked about for and I need to add that to my game. “I will have to say that I have been working hard in training, practicing my finishing and it paid off against Brighton.”Iwobi will be looking to add to his goal tally when Arsenal travel to face this weekend.